The JROTC received a new Captain at the end of October: April Habib. Upon getting news from Fayetteville JROTC about the open positions in Nicholas and Webster, Habib applied at NCHS. “It seemed like a natural fit and once I got here I was like,’Yep, that’s what I’m supposed to do,’” she told us. Prior to working with JROTC, she served 25 years in the military. 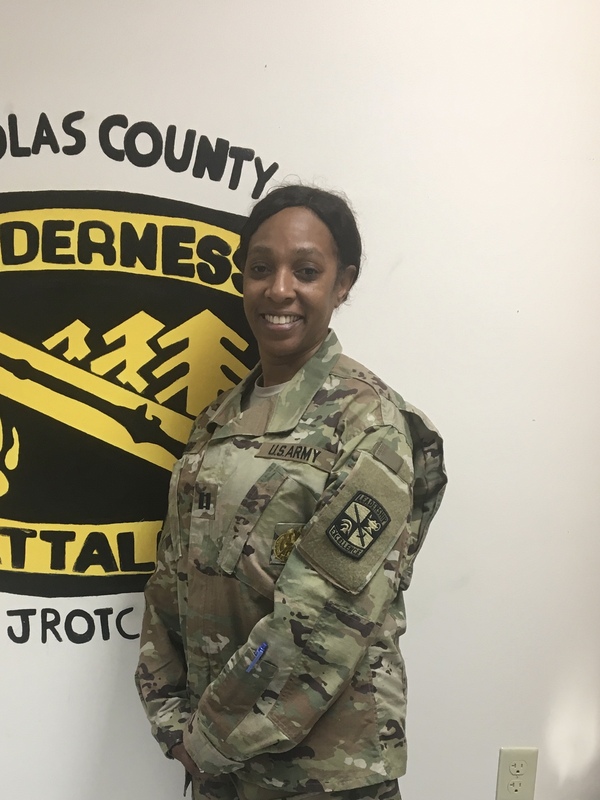 She first found her passion for working with the program through helping with her daughter’s JROTC. Women have progressed significantly in not just the military, but the world in general. Recently, for the first time, a woman was put in charge of a military post in Fort Bragg. Captain Habib tells us this would have never happened when she first joined. “It just shows you that the opportunities are there, and women are making a statement. They’ve earned it; no one has given it to them. That’s the most important thing,” she says. Next We Need Your Submissions!